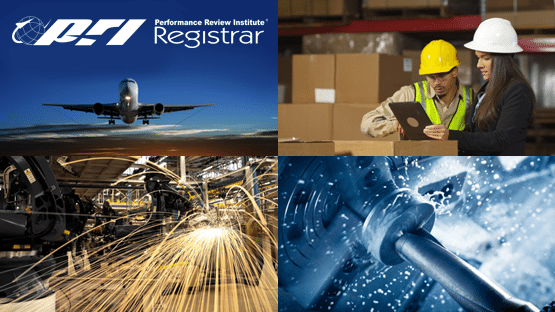 PRI Registrar is a management systems registrar accredited by the ANSI-ASQ National Accreditation Board (ANAB), providing management system certifications in the manufacturing, aerospace, environmental and health & safety industries. A national company with international reach, we have operated with sustained integrity and credibility since 1995. PRI Registrar’s mission is to provide a full range of programs and services designed to improve manufacturing process and product quality by adding value, reducing total cost and promoting collaboration between global stakeholders in the manufacturing, aerospace, environmental and health & safety industries. PRI’s purpose is to be the premier conformity assessment organization by complying with all requirements of the industries we serve. We are dedicated to measurable improvement and outstanding teamwork – all intended to add value and enhance the client experience. For more information about PRI Registrar or management systems certification, please visit www.priregistrar.org.